Are you looking for new career opportunities? Have you always wanted to become a bartender? Elite Bartending is the leading Cape Coral bartending school, and we offer a program that can work for you. Founded in 2007 in Miami, Elite has a 10-year history of providing superior education for Florida bartenders. We are regulated by the Florida Department of Education, making Elite a State Licensed Bartending school. Our long history of training superior, licensed bartenders and assisting them with job placement makes Elite Bartending an excellent choice if you are seeking a Cape Coral bartending school. Our students attend classes at Celsius Nightclub in downtown Fort Meyers, just a short drive from Cape Coral. This real world training gives students an edge. Experienced instructors lead small classes, offering one-on-one training. At Celsius, students learn to become mixologists while handling the pressures and opportunities of a high volume venue. 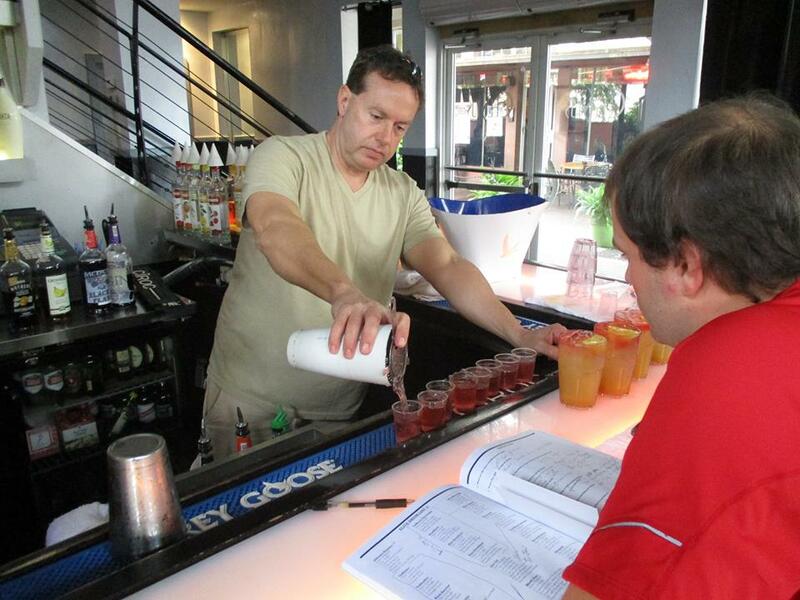 In addition to basic bartending, students learn flair bartending, a way to entertain customers and earn extra tips. We also include point of sale computer training. Finally, Elite provides job placement assistance. When you graduate, you will be ready to take on the exciting and rewarding career you’ve always wanted. Elite also encourages students to practice before and after classes in Elite’s facilities. Meet with your peers to practice new skills and hone your knowledge. Finally, all Elite graduates become Elite lifetime members. This means that you’ll be able to return to Elite at any time for continuing education as well as job placement support. Once you choose Elite, Elite will continue to back you for the rest of your career. If you are considering a Cape Coral bartending school, consider Elite Bartending. We offer so much more than just the basics. Call us at (239) 900-6701 for more information or register today through our online registration form.